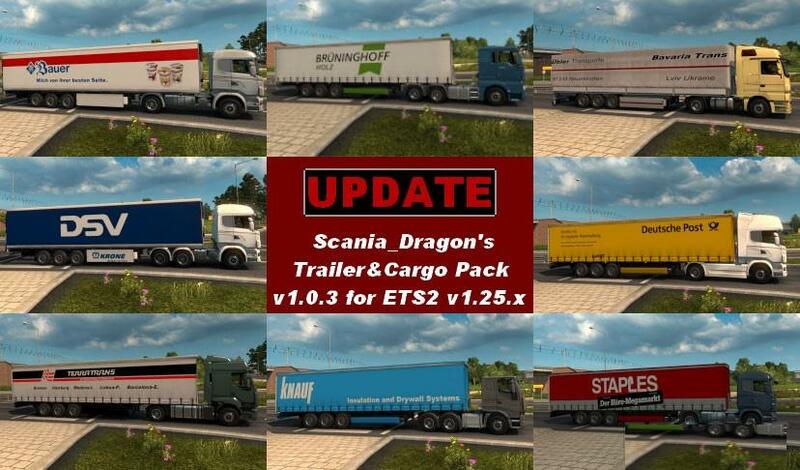 Gameplay videos with Krone Trailer Pack DLC for Euro Truck Simulator 2 game. With the 1.32 game update out, today we are proud to introduce a new set of trailers demonstrating the power of the new trailer ownership feature. On our many journeys across Europe with our Simulation Trailer, we keep meeting the fine people from Krone Group. 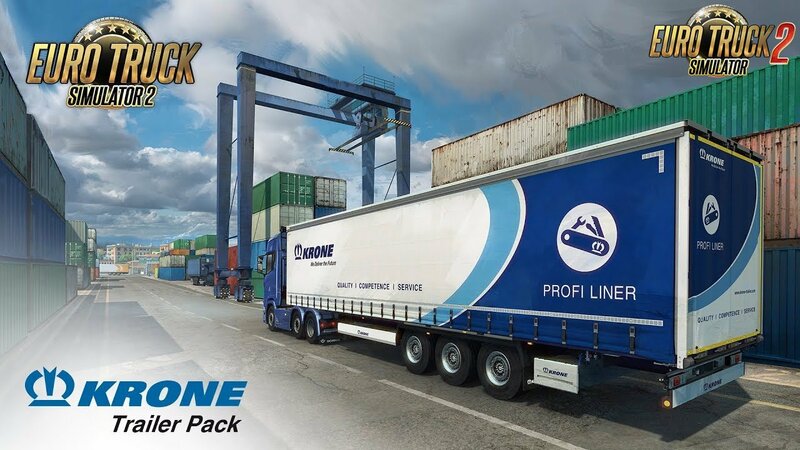 When we approached them about appearing in Euro Truck Simulator 2, they were very enthusiastic and provided all the support we could dream of to produce high-quality representations of their trailers for our game. Now we want to return the favor and perform another of our PR stunts as a way to say thanks, as well as to spread the goodwill coming with this new great game content. Honestly, it's also a bit of muscle flexing in front of the transportation industry in general, as we try to demonstrate that our games' fan community is quite relevant when they think of their target group. So what's the plan? We are going to release the Krone Trailer Pack in a few hours from now, but first, we are ready to give away 10,000 keys to our players! It's not just a random giveaway though, we are asking for your engagement in exchange. First of all, only veteran players with at 100 hours registered are eligible. Furthermore, we want to make a splash on social media that would be visible not just to @KroneTrailer. All in all, we came up with the following key giveaway campaign. Of course, it's absolutely fine for you just to wait till the DLC is available for regular purchase, in this case, you will be happy to know that we are releasing it with a 20% launch discount.